Solution: MyFareBox is an anywhere-to-anywhere airfare aggregation, consolidation and fulfillment platform offering bookable and ticket-able airfare content from 900+ airlines across 70 countries. The platform offers the largest aggregated airfare content in the world by combining Consolidator/Private Fares, Market Published Local Fares across fare types such as Marine Fares, Student Fares, Labour Fares, Military Fares and other fare types from Multi GDS’s and multi Point of Sale Pseudo City Codes (PCC’s). Solution: Synergita (HR performance system) is an extensive talent management system for performance. This application allows HR managers and organizations manage workflow and data for employee appraisals in organizations. Solution: SmartSociety.in is a cloud platform for the management of Commercial/Housing societies. Their solution addresses conflicts between housing committee and residents by simplifying administration, managing finances and improving quality of life. Solution: Language Translation solution helps translate Indian regional languages into English. Particularly useful for enrollment services such as birth certificates where input in a regional language usually results in human errors while translating to English, the solution offers conversion in real-time making it useful for instantaneous services. Solution: English Dictionary + Gamified dictionary app helps users learn English words through interactive games. Sourcing information from Princeton dictionary, it provides the meaning, pronunciation, etymology among other features and is available free of cost. Solution: Mandi Trades is an app which aims to achieve direct selling of products between farmers and consumers. The app uses data.gov.in sources to determine government prices. Users receive SMS alerts for positive price changes on interested commodities. 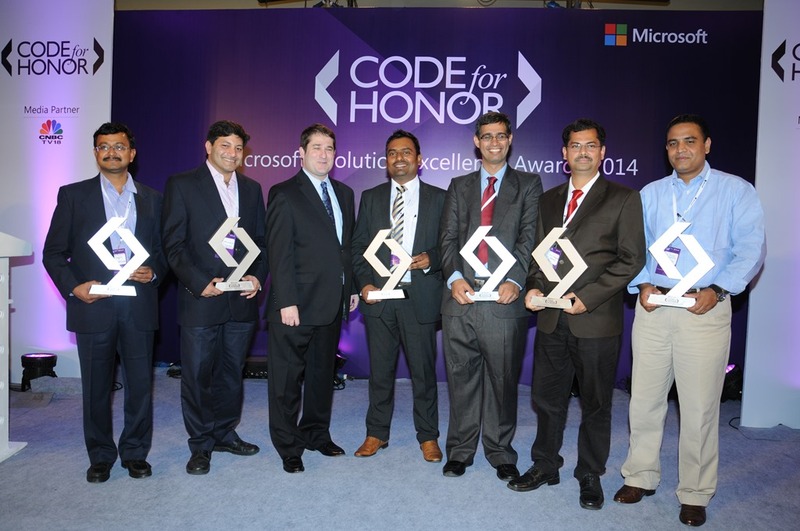 Code for Honor has been created in order to recognize excellence in the development of commercial apps and solutions on the Windows platform. The pan-India initiative was split into three stages – project evaluations, zonal finals and national finals; which started from December 2013 culminating with the winners being announced today. Organizations like NIC, NASSCOM, TiE, Intel, Nokia, ICertis, Barrier Break and Microsoft’s own entity, Microsoft Ventures, have supported this contest. The winning teams receive cash awards of INR 2,00,000 (Rupees Two Lacs) each and will now have the opportunity to connect with potential investors and customers to promote their commercial apps. In the last six months of the competition, there have been 2098 registrations by ISVs and tech start-ups from over 170 cities, 1002 solution concepts from over 80 cities developed for Enterprises, MSMEs, Government, Citizen Services and Social Good and 25 ISVs and tech start-ups were part of the national finals. Out of the 25 finalists, 22 of them are ISVs with 50 employees or less and 40% of the finalists are leveraging the cloud for their solutions. There has been significant participation from Bangalore, Hyderabad, Chennai, NCR, Pune and Mumbai. “India is growing increasingly important in the global applications development eco-system and has now become the second largest developer community after the United States. Microsoft has had an ongoing relationship with Indian developers for over 2 decades. India is the ideal place for developing commercial applications and solutions. I also continue to maintain that the next big app will come from India,” added Joseph.